It’s the beginning of 2018 , and I wanted to start the year with a special blog post. 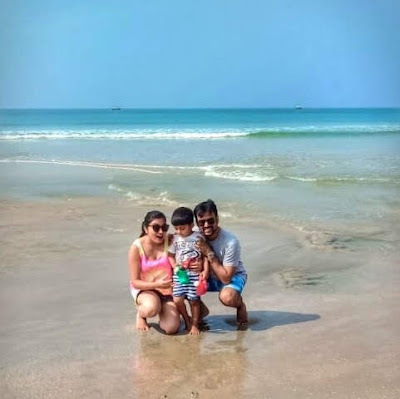 As I was browsing through my facebook , as well as Instagram, I saw some lovely posts and pictures of end of the year family travels , and friends on honeymoon, and it got me thinking on how we used have few pictures in earlier days, and each one so special, and these days we have so very many images, and scenes that they tend to fade faster from our minds. So how can we keep the memories of last year’s travels revisitable, as well as document our future travel stories? 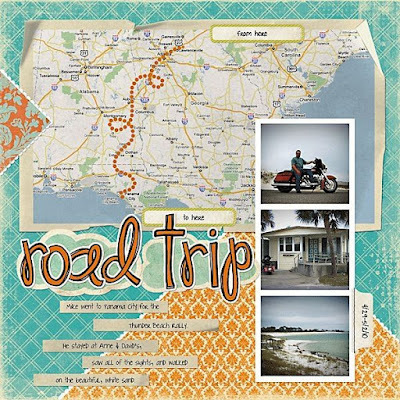 One easy way is scrapbooking. 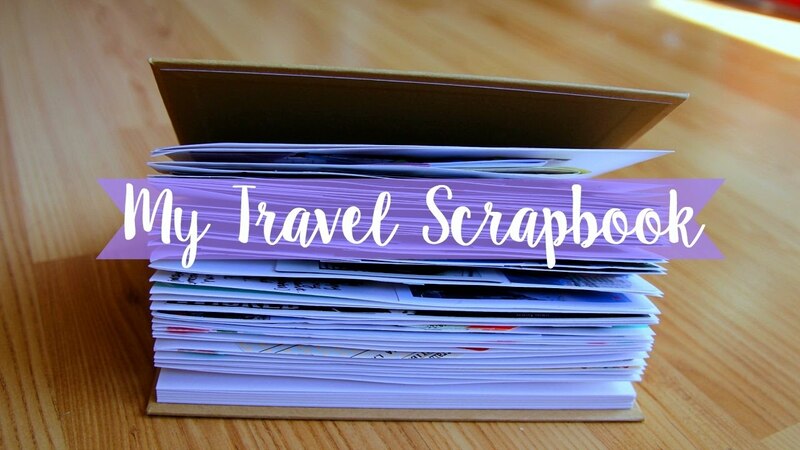 I love the Idea of scrapbooking a trip, and thought of sharing very ,very simple basic steps to making your first travel scrap book. I know you are already thinking to yourself ( I am not crafty, or I can’t write well…all the various excuses to not give this a try) but believe me if this is the one travel resolution you make this year, to scrap book one of your family/solo/adventure/ leisure travels, it could very well be the best travel resolution of the year. Step 1: Get a nice book with plain pages, pages preferably should be thicker than your average note book. I prefer buying a simple drawing book from the stationary shop, the drawing pages are thicker, the number of pages are not too many, and it’s easily available. Step 2: Collect all your travel tickets, your flight boarding passes, your railway pass, bus tickets, even if it’s a road trip keep the fuel station bills. These will act as the starting point of your scrap book, as well as the return tickets can form the last page of your scrap book. Did you make a checklist of your travel things? You can stick that in the scrap book as well. WAIT ! don’t start sticking right away , until you go through my list. STEP 3: So, you clicked 500 pictures on your road trip, or maybe 4000 on your honey moon. You cannot possibly have all of them in your scrap book. To help you choose your pictures , here is my helpful guide, but you can use your own discretion. Divide the pictures into the ones in portrait mode(vertical pictures) and those in landscape mode( horizontal pictures) try and have a good mix of vertical and horizontal pictures. Also if you used instagram , then chances are you have square images as well, these can easily be arranged in grids of 4 , so choose sets of 4 square pictures from a theme (eg, 4 food pictures from your Istanbul trip, or 4 pictures of the visit to the zoo in Singapore) or black and white and sepia toned pictures . Step 4: Try and think of funny incidents from your trip, and choose pictures or images of that moment. Don’t have a picture? No problem , make a caricature, or attach a travel pamphlet (next point). Step 5: Collect as many of the travel brochures, and travel maps from the airports and from your destination. Every museum we visited had a brochure, even amusement parks have maps that you get at the entrance. Stick the entire map in the scrapbook, and mark out your favourite rides on the map. We visited Rome for our Honeymoon, and I attached the map of Rome, and then marked out all the roads we walked on, turns out we walked a lot! I love to use travel brochure pictures instead of my own photos because they make the book look interesting. 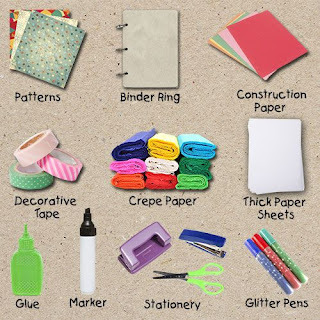 Step 6: Buy small pouches or envelopes which you can stick in the book ; these envelopes can hold anything from autumn leaves , to a bit if sand from the beach, a pressed flower, or any other small item you picked up from your travel, like coins or stamps. Let it not be something edible, otherwise ants would get at it. I think leaves and sand are the easiest things to pick, but feel free to share your ideas in the comments below. Step 7: Liked a restaurant ? ask them for either their printable menu card, or their drink coasters, or paper table mat, or even write a note on the paper napkin if it has the name of the restaurant. On our trip to Rome, we loved a quaint little restaurant and our waitress so much, we got her to write a little note to us on a napkin. Chefs and restaurant owners would be happy to oblige happy customers with notes , and these then act as memories and stories for a lifetime. 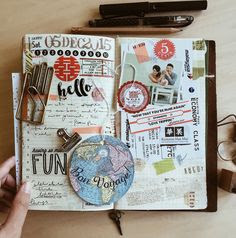 Step 8: Divide your holiday experience into travel, destination, nature, architecture, food, people, shops and stores, and try and pick up one item which you can use in your scrap book to remember each one of these . It could be pictures, brochures, maps, menus, or hand written letters by people you met, but try and make it meaningful for you. 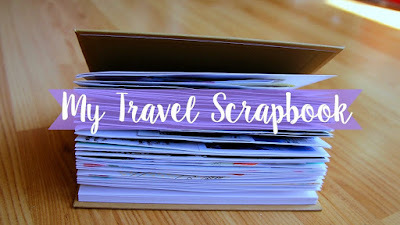 The whole point of scrapbooking is to be transported back to the place, in a way that pictures alone cannot, so try and go beyond your smartphone pics for ideas . Step 9: If everything alludes you, pick up picture postcards from each of your destinations, and from the places you visit, and write a few lines behind each picture. It could be about the store you bought the postcard at, or about an incident at the airport where you bought the postcard, or about the real scene in the postcard. Again postcards are not merely pictures , since they are not taken by you, they were printed in the place you visited and handled by the natives of that place, so it acts as a unique souvenir of the place and the people, but also happens to be an easily relatable image . Step 10: Stick all of your memories in the book. Either follow a linear time narrative, with day 1 pictures and articles, and day 2 and so forth. Or you can paste all food pictures and memories together, and all the nature pictures and leaves, and gravel together. How big should your scrapbook be? It can be a single page even, as long as it transports you to the place. That’s it! It’s that simple. 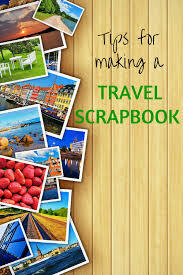 You can spend as little or as long to make your scrap book, the essential thing is to make it soon after your trip. I hope 2018 brings tons of food and travel adventures for you and I hope you scrapbook atleast one of your travels this year. Have any travel resolutions? Share in comments.